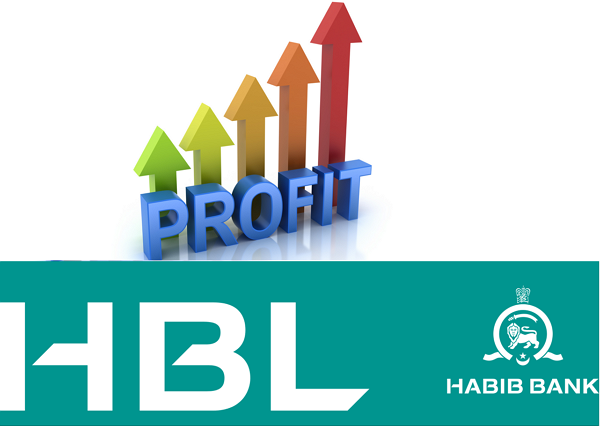 HBL today declared a consolidated profit after tax of Rs25.8 billion for the first nine months of 2016, with earnings per share ofRs17.47. Along with the results, the Bank declared a third quarter dividend of Rs3.50per share (35%). HBL’s balance sheet has grown by 7% over December 2015to reach Rs 2.4 trillion. DomesticCASA deposits increased by 9% and the CASA mix improved to 89% as at September 30, 2016. The domestic deposit mix continued to improve,and current accounts now form 35.6% of deposits. Average current accounts for the first nine months of 2016 increased by 19% over the comparable period of 2015, enabling HBL to reduce its cost of domestic deposits.With average domestic loans also growing across all segments, the Bank was able to grow net interest income by 7% to Rs62.2 billion for the first nine months of 2016. Fees and Commissions continued their growth trajectory, rising by 18% to Rs13.7 billion for 9M2016. Bancassurance, trade, investment banking and general banking related fees continued to make significant contributions to the fee income.With enhanced recoveries, the Bank was able to reduce provisions by 58% compared to the first nine monthsof 2015while growth in administrative expenses was restricted to 10% over the same period of2015.The NPL coverage ratio improved over the previous quarter to reach 90% as at September 30, 2016. The consolidated Capital Adequacy Ratio (CAR) as at September 30, 2016 was 16.4% with the Tier 1 CAR at12.7%, well above regulatory requirements.The Bank’s credit ratings were re-affirmed earlier this year by JCR-VIS at AAA/A-1+ for long term and short term respectively. The ratings are supported by the healthy capitalization ratios and HBL’s sound liquidity profile and reflect the systemic importance of the Bank.